China Blog Series: 2.XYZ, JJ.XYZ, 222.XYZ & more: Exclusive 1-4 character .XYZ auction (NO RESERVE) starting January 4! Welcome to XYZ’s China Blog Series, dedicated to our loyal supporters in China. Click here to read this post in English. US & international bidders can bid in English here. 2.XYZ, JJ.XYZ, 222.XYZ & more: Exclusive 1-4 character .XYZ auction (NO RESERVE) starting January 4! Happy New Year! In celebration of all the success .xyz and our followers have had in 2016 (like our recent accreditation) and the coming Year of the Rooster, we are happy to announce another partnership with Chengdu West to host this exclusive auction! Beginning on January 4th, there will be over 350 rare and desirable .xyz domains up for auction. These domains include standouts such as 55.xyz, 222.xyz, GDP.xyz, and DGG.xyz. 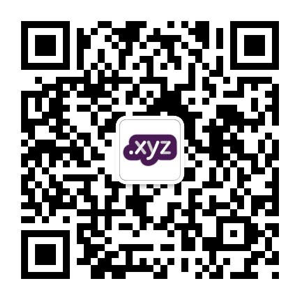 This is also the first time that many of these domains have ever been made available, and this is also our first auction in China since .xyz became accredited! All auctions have NO RESERVES, and best of all, will renew at standard prices. The first auctions close on January 4 and final bidding ends on January 13th, so get ready for the new year by securing these extremely valuable domains! Before you bid, be sure to review our previous auction results to see what similar domains have sold for in the past. Remember – all domains in the auction will be sold at NO RESERVE and will renew for standard fees. US and international bidders can view the full list of available domains and start bidding in English at www.West.xyz. Take me to the English .xyz auction!